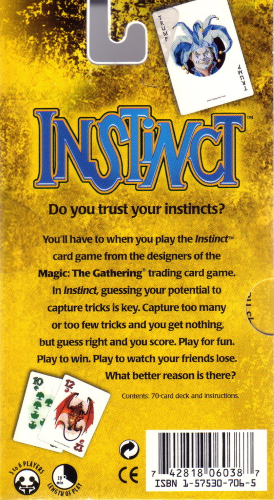 Instinct is an independant card game of Wizards of the Coast for three to six players made in July 1998. It consists of 60 color cards, 6 trump cards, 3 scoring cards and 1 advertisement card for a total of 70 cards. 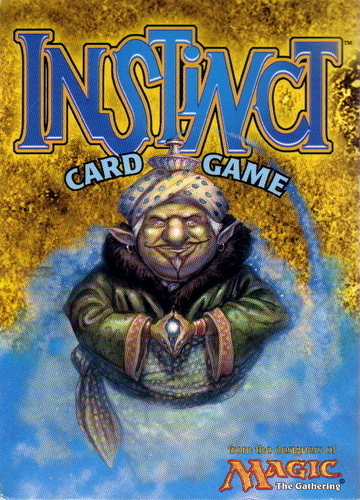 Some of the color cards feature Magic artwork.